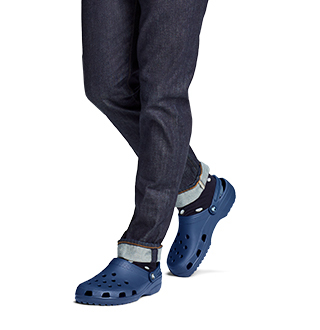 Water shoes, sandals and clogs for girls and toddlers. Make a splash with a variety of water shoes that your little girl can wear in and around the water. 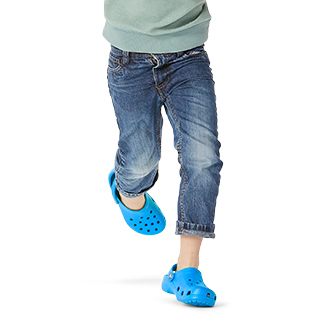 Girls’ water shoes from Crocs™ come in all shapes, sizes and colors. Who knew your little one could have cute shoes that are perfect for the water at the same time? 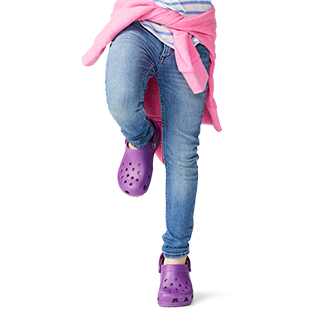 With Crocs water shoes, girls can run and play knowing that their shoes can go wherever they do, including in the water! She is can quick slide her flip flops or slides on and off for when she wants to play or Swiftwater™ sandals to protect her little piggies in the water. Find a variety of girls’ water shoes with a deeply comfort footbed for no-fuss comfort. No matter which style you choose, know that your feet will feel the comfort that they deserve! Looking for more water friendly styles? 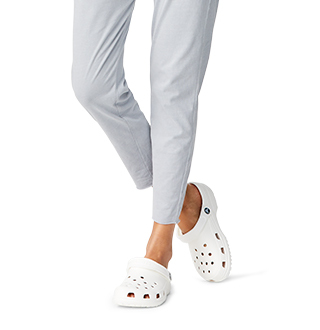 Find cute beach shoes or cute pool shoes at Crocs. Don't forget about customizing your water shoes! You can add Jibbitz™ charms to your water shoes to individualize your style too.